I have had the privilege of knowing Jessica for about 8 years now. Jessica was the first person I met at Holy Family when I began teaching in 2005. I watched Jessica mold young minds, fall in love, get married, and have 3 beautiful babies. Jessica and her husband, Lee, have a relationship I am in awe of. I have never witnessed a love like they have. They truly adore each other in every way. Obviously, their life has not always been perfect, as no one's is... this loving family went through something terribly tragic just a few short years ago. On March 13, 2010, Jessica and Lee lost their baby girl. She lived but only 8 days. Their story was just recently featured in the South Bend Tribune. I encourage you to read Baby Emma's story (with tissues)! It is beautiful and so inspirational. 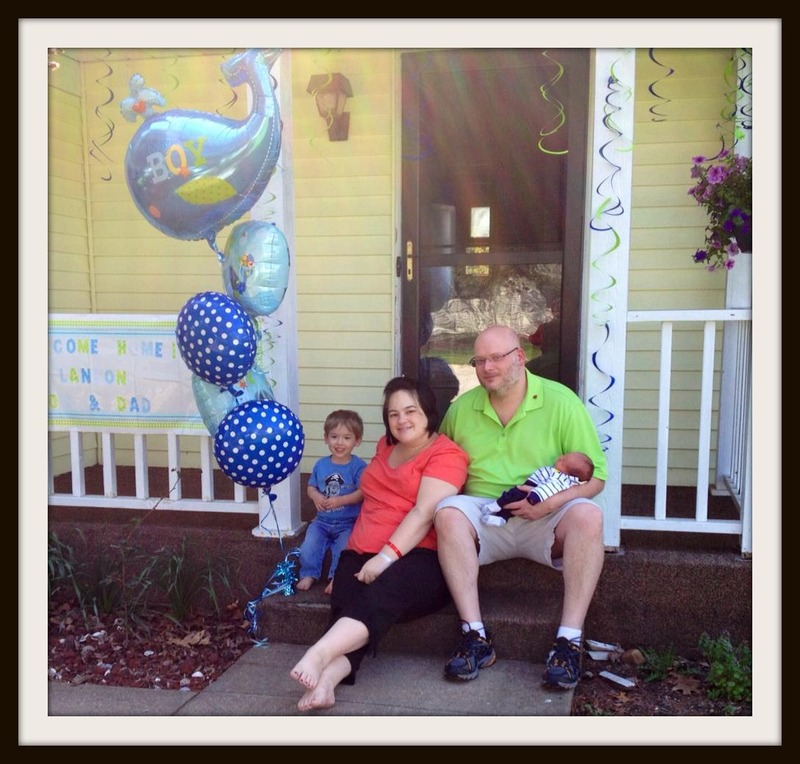 Soon after, Jessica and Lee tried for another baby, and had a handsome little man, named, Evan. 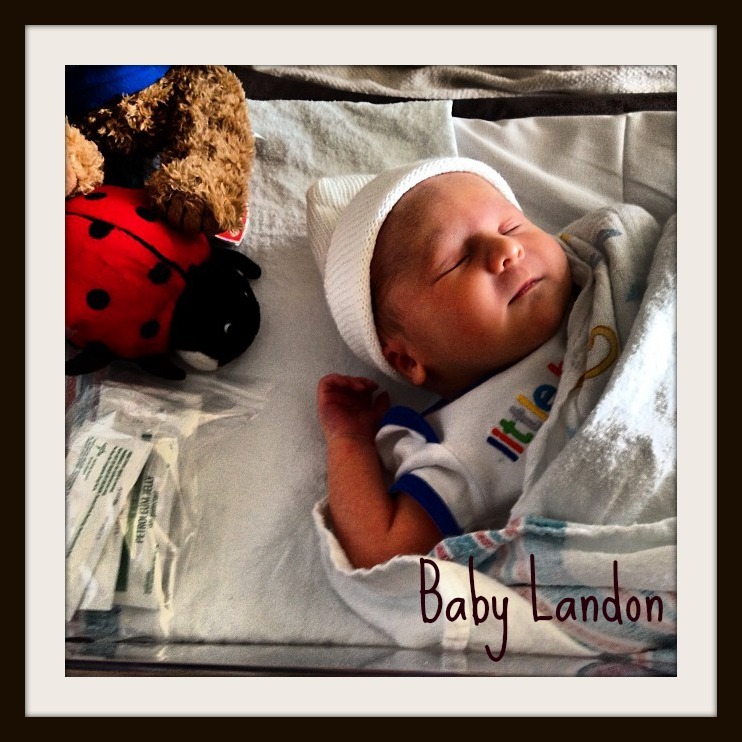 And... just a year and a half later they had this little nugget, Landon Carter! And here's where I come in... Baby Landon needed a dresser and I was asked to paint it up before he arrived and let me tell you... this mama has these babies early so this was a rush order! Jessica found this dresser on an online sale site and bought it for about 35 bucks which is a steal for a 5-drawer dresser. Now... let me remind you... when you purchase furniture cheap it usually means more work. but nothing Durham's couldn't handle! This Durham's Rock Hard is amazing. I once found a school desk that was missing a huge chunk out of the side and I used this to form the piece. You couldn't even tell once it was complete. For about 8 bucks, you can buy this huge tub and it lasts forever. It comes in a powder form and all you do is add water. The less water, the thicker the substance, and the faster it will harden and form. Just use a putty knife to apply it. Wipe on. Wipe off. Here's a picture of my Dad applying the "magic." He is the one who informed me of this potion. 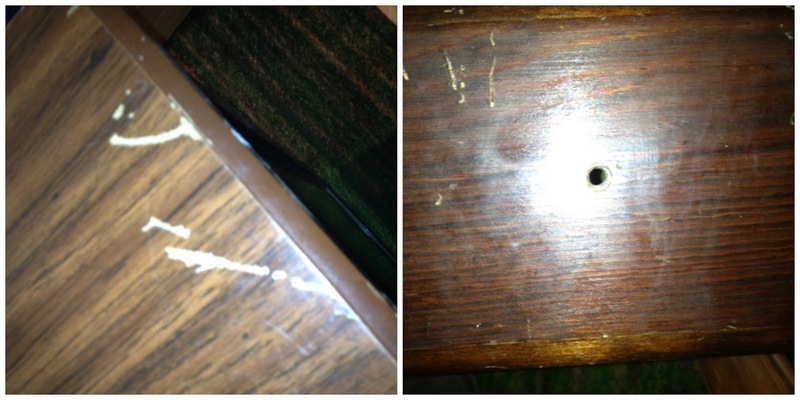 Once the holes and dings were filled, I sanded the entire piece down pretty well. Most of it was real wood, but the sides were veneer so I had to sand all of the glossy stuff off. I applied two coats of Kilz Primer and then two coats of semi-gloss paint. Jess chose a beautiful yellow. Remember if you use semi-gloss you don't have to polyurethane!! As you can see, it's already being used!! Landon came so fast, poor Jessica hasn't even finished decorating the room. You'll get to it one day, Jess, and then it will be time for a Big Boy Room! Time sure flies when you're having fun and having babies!